AG materials synthesis process allows for the manufacture of different Sialon powder compositions. This gives AG materials the capability to design tailor made Sialon powder compositions to satisfy our customer's needs. 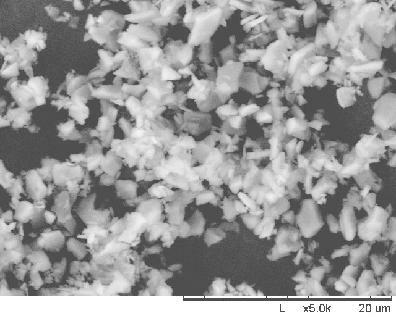 The usage of Sialon powder may enhance the sinterability and reduce the need for additional sintering additives. 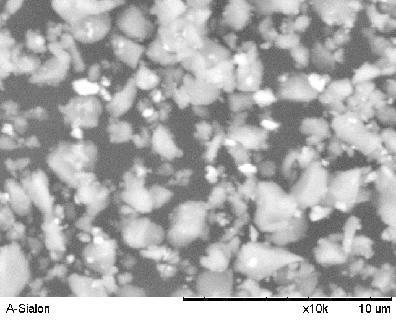 The presence of glass phase in intergranular regions will deteriorate the high temperature oxidation and mechanical properties of Sialon materials. There is no need to well mix several starting raw materials as a precursor to get Sialon ceramics. Different particle size distributions are available for different applications, such PM and PIM, etc. Traditional Sialon ceramic is formed by sintering several different reactants to form consolidated block, so this causes many limitations in application. Traditional Sialon phase composition is formed after the reaction between Si3N4, Al2O3, AlN and metal oxides sintering aids.